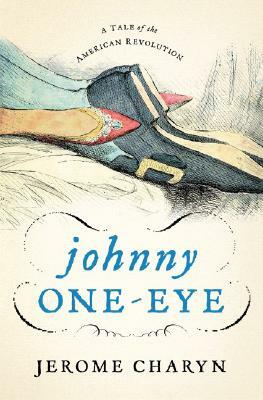 Johnny One-Eye is a rollicking novel of the Revolutionary War, following the oft confusing but always entertaining adventures of one John Stocking, son of a whore from New York. Stocking, who earns the nickname Johnny One-Eye after losing - you guessed it! - an eye, finds himself an unwitting double-agent in the American Revolution, caught between loyalty to his Crown and a growing respect for both the American cause and its leader, George Washington. Johnny's adventures take readers from the whorehouses of 18th-century Manhattan to the prison ships on the East River, from New Jersey to Canada, from schoolyard to battlefield. As Johnny takes beatings both literal and figurative from friends and foes on both sides of the fighting, we find him discovering his own path, making decisions based on his own values rather than those imposed upon him by the debts he feels he owes to others. With Johnny One-Eye, Charyn has shown his wit and charm in a way that lay buried beneath the surface of his biography, Joe DiMaggio: The Long Vigil. The novel is unique not only because it is one of few recent works of fiction to center on the era of the Revolutionary War (although I'd be thrilled to hear I was wrong in that statement! ), but because he tackles the narrative through the point of view of one who is not merely undecided in which side he will choose, but rather loyal to both. In revealing all of the contradictions of this predicament, Johnny One-Eye is an enlightening glimpse into the politically charged atmosphere of 18th-century America. Though confusing at times and slightly jumpy, Johnny One-Eye is ultimately a success, and bound to be enjoyed by those with a love for American history (read: people like me). The giveaway! Courtesy of Nicole at Tribute Books, I have one copy to offer in a giveaway. Simply leave a comment to enter. Retweet, post on your blog, share on Facebook, etc, for an additional entry. Winner will be selected randomly. Open to US residents only, sorry. Entries due by 8PM 6/29. Winner will need to send address by 6/30. Please be sure to leave a valid email address with your entry! I received a copy of this book from Tribute Book Tours, though that did not sway my opinion of the book. You can tell because Tribute Book Tours also supplied a copy of Joe DiMaggio: The Long Vigil, and I didn't really like that one. That's proof positive. Kerry, thanks for picking up another book by Jerome. As a fan of U.S. history, I'm glad that you enjoyed it. I really liked some of the comments you made such as: "...we find him discovering his own path, making decisions based on his own values rather than those imposed upon him by the debts he feels he owes to others." What a powerful statement whose meaning can be applied far beyond the context of the book. I also liked: "...the narrative through the point of view of one who is not merely undecided in which side he will choose, but rather loyal to both." You're right - what a conflicted, interesting character Johnny One-Eye is. We appreciate your support of Jerome's work and for hosting a stop on the blog tour. Good luck to all who enter the giveaway.